Moving away from the verbal and thematic repetitions that have dominated Homeric studies and exploiting the insights of cognitive psychology, this highly innovative and accessible study focuses on the visual poetics of the Iliad as the narrative is envisioned by the poet and rendered visible. It does so through a close analysis of the often-neglected 'Battle Books'. They here emerge as a coherently visualized narrative sequence rather than as a random series of combats, and this approach reveals, for instance, the significance of Sarpedon's attack on the Achaean Wall and Patroclus' path to destruction. 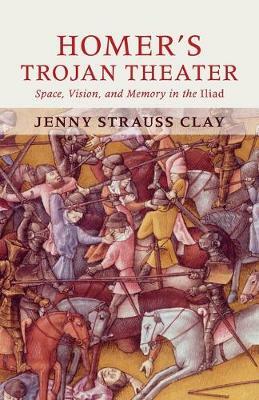 In addition, Professor Strauss Clay suggests new ways of approaching ancient narratives: not only with one's ear, but also with one's eyes. She further argues that the loci system of mnemonics, usually attributed to Simonides, is already fully exploited by the Iliad poet to keep track of his cast of characters and to organize his narrative.